TICKETS: JUST TURN UP! FIRST COME FIRST SERVED. PAY WHAT YOU FEEL. 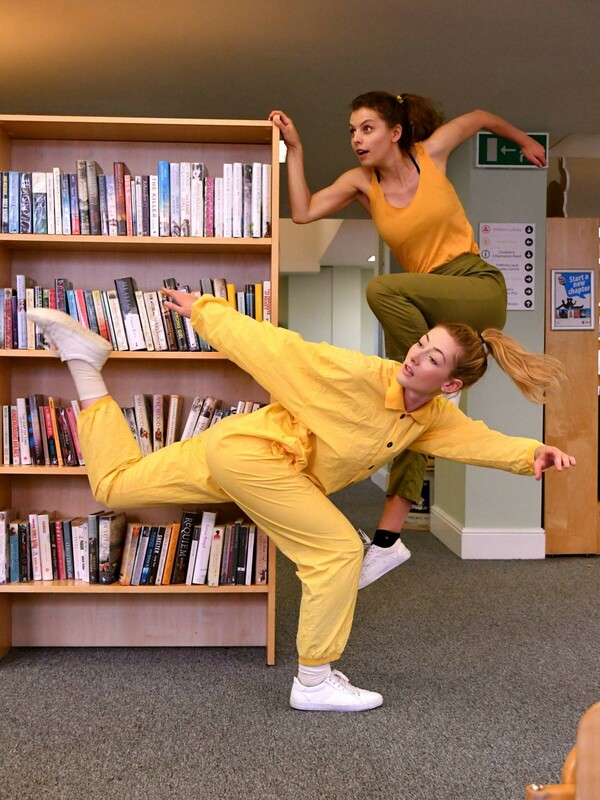 Getting from A to B by Hawk Dance Theatre takes audiences on an entertaining adventure around a library, looking at choices we face in our lives, the highs, the lows and everything in between! We visit key chapters of life; excitement, decision making, change, loneliness and success! 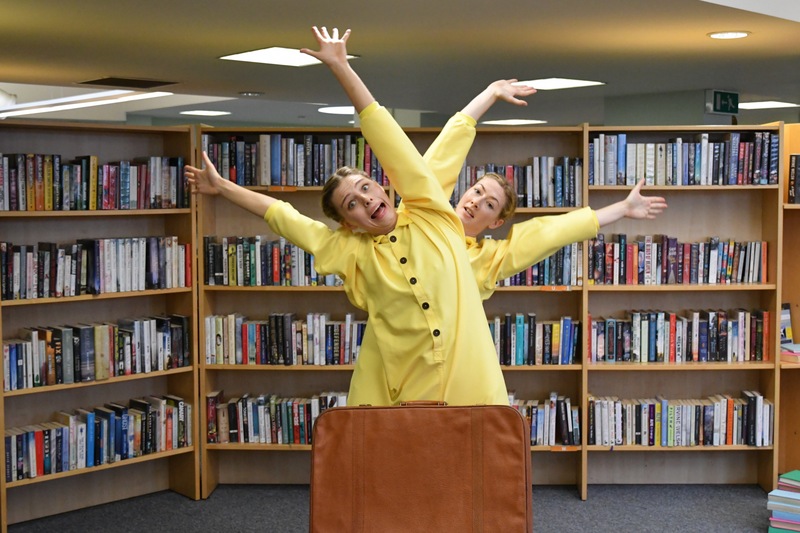 A duet choreographed by Josh Hawkins to original music by Richard Smithson & new poem A to B by Louise Fazackerley, rhythm, honesty and fun entice audiences into a world of storytelling. 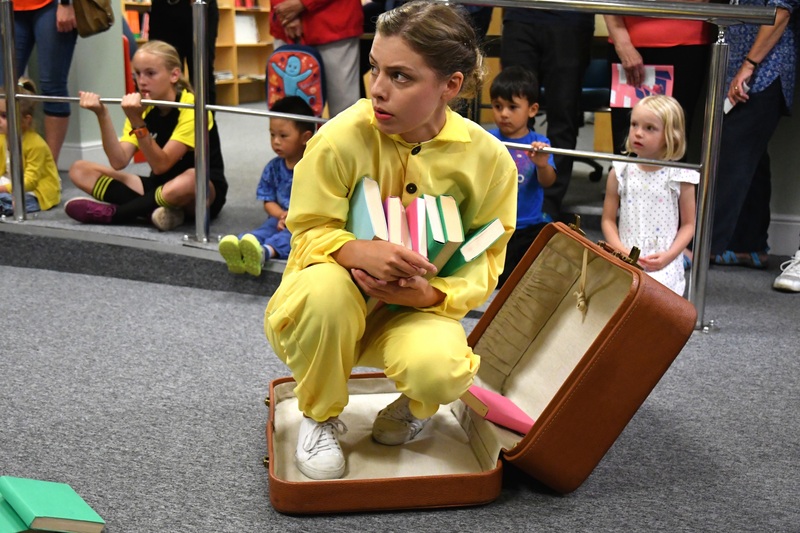 Dancers interact with audiences, share emotions and illustrate Louise Fazackerley’s words whose distinctive voice adds humour, resonating with children and adults alike. 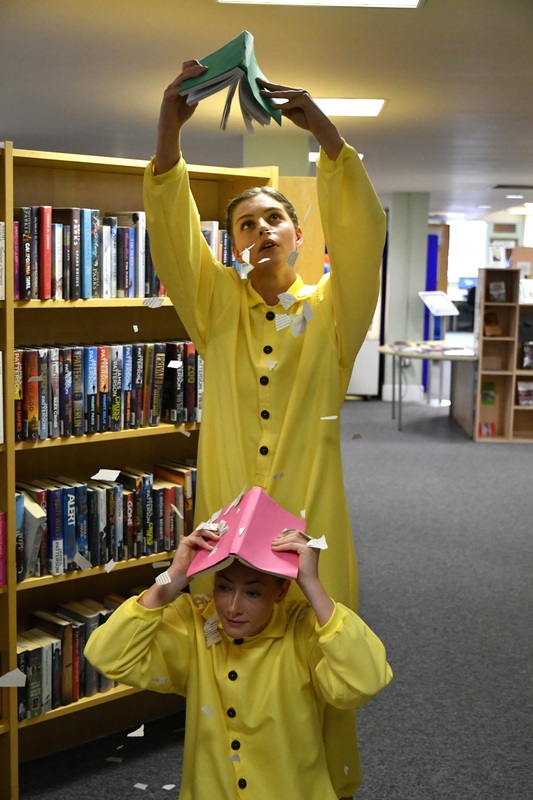 Performers lead audiences between bookcases, weaving our unique stories into one volume, revealing libraries in new ways! 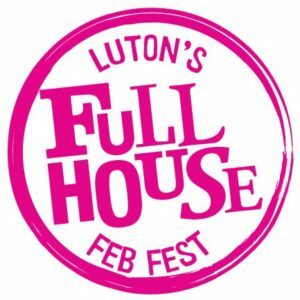 Getting from A to B is part of Feb Fest 2019, a children’s festival full of stuff to do and things to see in Luton. Click here for more information about other Feb Fest shows and workshops. There are no upcoming show dates at this time.